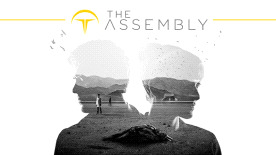 The Assembly now includes additional content as a free digital download, including original soundtrack, official script (English only), complete behind the scenes video (English only) and wallpapers. ‘FLATSCREEN’ COMPATIBLE – Play the game in non-VR. LEGAL: © nDreams. nDreams, the nDreams logo and The Assembly are either registered trademarks or trademarks of nDreams Ltd. All rights reserved.